The Metal-coop group is one of the leading companies in ceramic tiles market. In its powerful sale network of more than 30 showrooms and sale centers in the largest cities of Serbia, the company Metal-coop offers ceramic and granite tiles, sanitary ware and other bathroom furniture and accessories. The wide product assortment and long-range experience in managing the large engagements makes the company Metal-coop ideal partner for big investment projects. 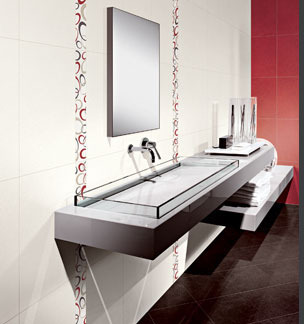 The tiles with aesthetic features and design of top-level Italian ceramics. The modern finish and decorations, attractive and matching colors and shades are the features of this product. You can download our catalogue and view all the product range.